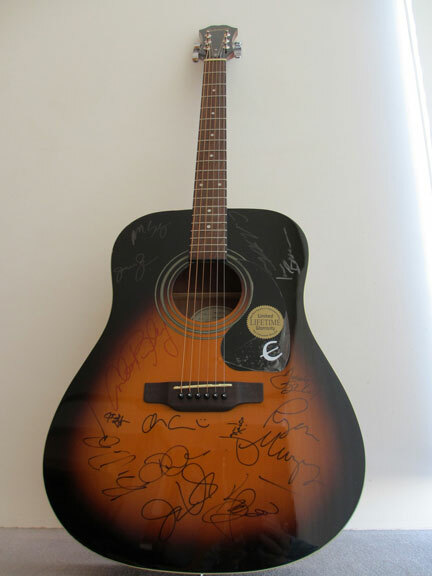 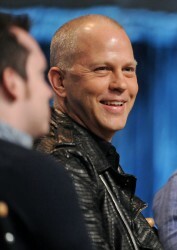 Join in on the music with this Epiphone acoustic guitar signed by Glee creators and cast Ryan Murphy, Ian Brennan, Brad Falchuk, Chris Colfer, Amber Riley, Jane Lynch, Dianna Agron, Matthew Morrison, Cory Monteith, Jenna Ushkowitz, Mark Salling, Jayma Mays, Kevin McHale, Jessalyn Gilsig and Jonathan Grof. 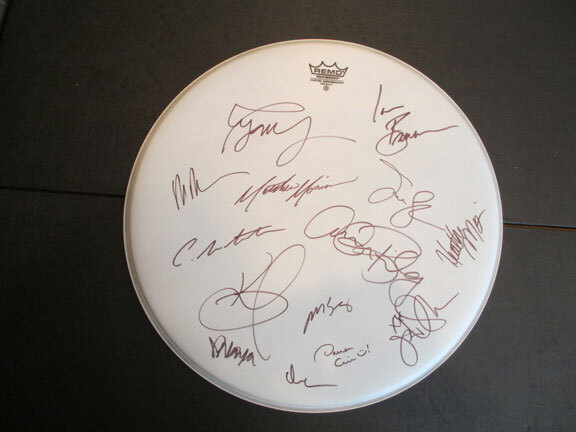 Remo 18.5” X 18.5” drum top signed by Ryan Murphy, Ian Brennan, Dante DiLoreto, Chris Colfer, Amber Riley, Jane Lynch, Matthew Morrison, Cory Monteith, Jenna Ushkowitz, Mark Salling, Kevin McHale and second season regulars Naya Rivera, Heather Morris and Darren Criss. 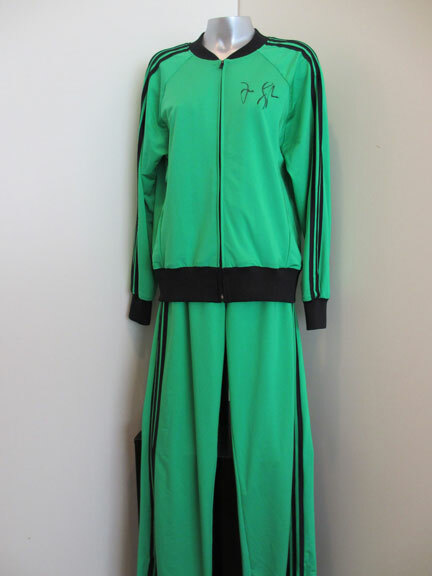 Green track suit worn and signed by Emmy Award-winning actress Jane Lynch, who plays Sue Sylvester, the exuberantly psychotic cheerleading coach on the hit television show Glee.